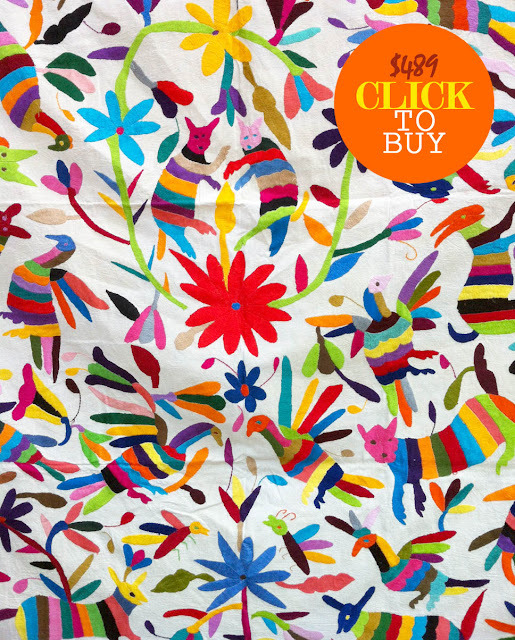 CLICK TO SHOP: Multicolour Mexican Suzanis are here! (above) One of our lovely Table Tonic customers recently emailed us their King Size Table Tonic Suzani bedspread transformation. So clever (click for all the details)! I had another customer purchase one yesterday - she plans to have a lampshade covered with her multicolour suzani and use the remainder to make a single bedspread for her son's room. Going to look amazing. PS Don't forget to contact me if you have any questions!